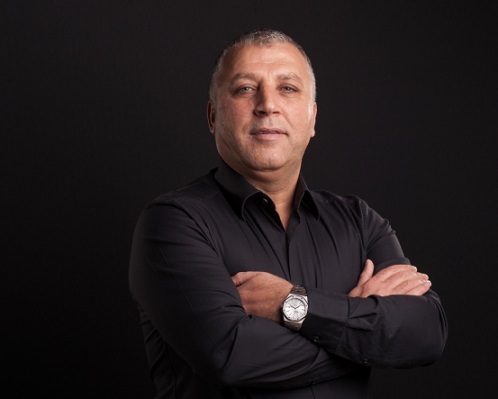 UAE-based businessman Ghassan Aboud tells Bloomberg Businessweek Middle East Editor Roger Field about the latest developments at his company including investing $600 million to establish a chain of hotels in Australia and a further $118 million to develop a new logistics hub and a retail and food business in the UAE. Ghassan Aboud Group is well known in its core sectors of automotive, logistics, media, real estate and – more recently – retail, catering and hospitality. You’re now in the process of establishing a premium hotel chain in Queensland, Australia. Tell me more about those plans, how they’re progressing and what led you to move into Australia’s hospitality sector. GA: Australia has a very strong economy and also has some strong economies around it such as Japan, China, Malaysia and Indonesia. It’s also a stable market. Initially we studied Europe and Australia but in the end we opted for Australia. We are planning to launch four hotels with around 1,200 rooms combined, as well as resorts in Queensland. We established our presence in Australia in 2015 and since then, we started investing into prime hospitality assets, pastoral business and superyacht marina operations in Australia. We have committed to projects exceeding AU$800 million ($600m) and we have also established our in-house brand, Crystalbrook Collection, which will manage these assets and grow the portfolio across the region and internationally in due course. 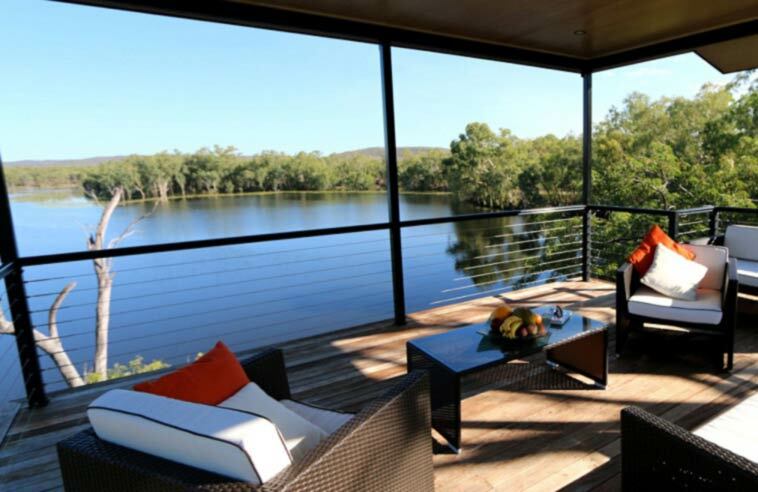 Crystalbrook Lodge is already operational – it’s an exclusive Australian outback oasis perched on the spectacular 120-hectares freshwater Crystalbrook Lake. The first hotel is expected to open in Cairns, Queensland, by the last quarter of 2018, with two more to open in 2019. More openings are scheduled for 2020 and beyond in the region. So we are starting in Australia and will then expand to the world. First, we will spread across other Australian cities and then to the Far East, Malaysia, Singapore, Japan and eventually to Europe – this is our plan. The eventual ambition is for Crytalbrook Collection to become an international hospitality brand with a global footprint. There are three properties undergoing rapid development now and another, which includes a superyacht marina, is in the design stage. I understand you also own a cattle ranch in Queensland. What’s that all about? GA: When we first entered the Australian market with a view to setting up the hotels, we saw an opportunity in pasture. Now our pastoral business is spread over 35,000 hectares of land. We’re aiming for the highest standards of inland and pasture management. The meat we produce will serve customers including our own hospitality businesses. Another big area of investment for the group is logistics. Obviously, you had your own supply chains to serve your automotive business, but now you’re looking to step the logistics side of the business up a gear. Tell me more about the plans for the new logistics hub in Abu Dhabi. In addition to our existing logistics facility in Jebel Ali (JAFZA), the group is establishing a 275,000 square metres logistics facility in Khalifa Industrial Zone Abu Dhabi (KIZAD) that is scheduled to be completed by August 2018. The project, which is already partially operational, will see the development of a full-scale automotive logistics facility including vehicle storage yard, warehouses, workshops, offices, body shop, PDI facility and others. As with the hospitality business, we want to grow this side of the business across borders. Our logistics company, Gallega, will eventually have operational hubs in Africa, Europe and other international markets. The initial capacity of the facility is 12,000 vehicles along with a large capacity to store spare parts and accessories for multiple customers. The objective is to provide complete logistics solutions supported by advanced technology. This will allow us to help our customers increase their operational efficiencies and productivity. The cost for the first phase of the project is around AED 95 million ($25.9 million), with an expansion on the cards in the second half of 2019. In terms of the future of the logistics industry in the region, the UAE has excellent infrastructure and has become a hub for the Middle East and Africa. I see potential for growth as some of these markets experience prosperity, partly due to the sheer size of the population and the need for efficient movement of products. We started from the UAE and have since added Belgium, which is our base for Africa. In the near future, we will also be establishing a hub in West Africa as we believe in the potential of the African continent. We also have operations in Jordan for automotive and logistics. We’re not just concentrating on automotive logistics; we are working on a few other niche areas of products and services that will be covered in due course. You entered the UAE’s retail and catering sector in 2016. How big is this side of the business and how is it progressing? GA: Last year in the retail segment we launched Grandiose Supermarkets – a chain of niche supermarkets in the UAE. Over the last 12 months we have opened six outlets in Abu Dhabi and Dubai, and we plan to open at least 20 more in stages. We’re still new in the market but we are encouraged by the customer response we have gained so far. By the end of this year we will have maybe 10 outlets. Our catering arm, Grandiose Catering, is enjoying a good start and has won contracts with several hotels and corporate clients. 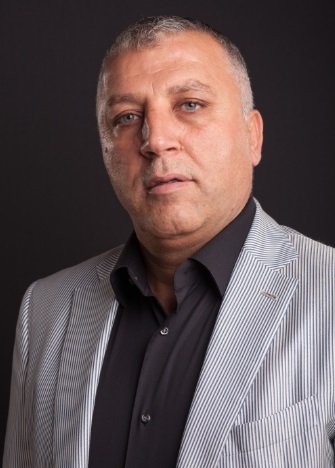 Ghassan Aboud Group originally started out with an automotive trading and spare parts supply business back in 1994, and that remains the biggest part of the business to date. How is automotive performing for you? GA: At the moment the automotive industry in the region is going through a general downturn. It’s been having a hard time since early 2015 but we believe we are doing well in this area because we have a wide portfolio of services and products. We have been in this business for almost 25 years and we have business relationships in over 100 countries. Diversity and customer loyalty have helped a lot. The automotive business originally started with trading in vehicles, spare parts and accessories. Over the years, the business has grown into a substantial automotive supply chain operation, with the UAE as the global hub – operating from Dubai, Abu Dhabi and Sharjah – and additional operations in Belgium and Jordan. The infrastructure includes showrooms, warehouses, offices, logistics facilities and transport fleet. The operations are extensive with multi-country trade, inbound and outbound logistics, storage, value addition, transportation, documentation, financing and others. The auto business employs 350 staff across the various locations and has a market reach of over 100 countries. It was our success in the automotive business that led us to a diversification strategy into other business verticals, including media, art production, real estate, catering, retail, pastoral and hospitality. Media, especially free-to-air television, is a tough business to be in at the moment. Tell me about the group’s media unit and how it’s coping in the current climate. GA: We started the media business in 2008 with a satellite channel, Orient TV, a radio station called Orient Radio, and new media. We also established a TV production business, Live Point Art Production, which is based in Dubai and has offices in Jordan and Turkey to provide media production and training services across the region. Orient TV broadcasts news, current affairs and general entertainment programmes to the GCC, Levant and parts of North Africa. The channel is popular in several countries and has good ratings amongst a predominantly Syrian viewership. It is known for its objective coverage as an independent channel. This year we are rebooting Orient Training Centre which offers training for media across all areas including engineering for media, marketing and reporting. We have initiated business with key customers in the UAE, Saudi Arabia and Turkey. How is the Middle East business climate and economy for the group in general? GA: Due to our diversity we are doing well. The group had revenues of around $1.5 billion last year, maintaining the levels of the previous year. Since 2015 it has been tough in general for companies in the region. The situation has been challenging for companies in the Middle East and particularly in Africa, which is a large market where we see many of our partners going through difficulties. We are investing now because we want to be ready for the future and also because we can see that the current slowdown is just part of a cycle. By 2020 the business should start improving in the Middle East and we will try to be ready for it. We have been here for 25 years and have seen the cycle a number of times before. The current economic environment may be challenging for some, but I see the longer-term outlook to be very positive. This is given the strategic importance of the region, and its ability to be an enabler of trade between continents. Despite running such a diverse group, you also find time to do humanitarian work, especially for Syrian refugees. GA: I started a dedicated organisation in early 2012 to help people and it is growing bigger. The aim is to provide medical services, relief efforts, education and social services to Syrian refugees injured or displaced by the conflict. Services are being provided through clinics, hospitals and rehabilitation centres in key locations. In addition to the above, the group is also actively engaged in other CSR activities within the markets that we operate. How is the challenge of managing such a big and diverse company? GA: Opportunities for growth and diversification always come with challenges – we have met these challenges with proper planning, corporate governance, professional management practices and execution. As chairman, my door is open all the time and I communicate regularly with all my staff, from the senior managers to junior management and front-line staff. It’s important to ask them about their ideas and to share ideas. I always ask them to think like entrepreneurs and not like employees.